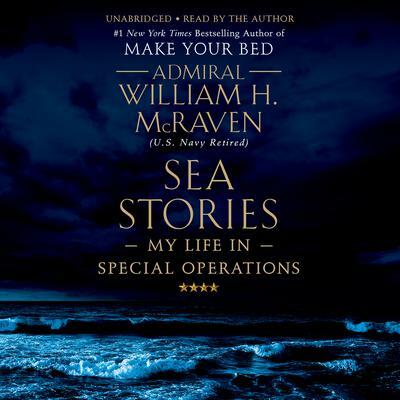 Following the success of his #1 New York Times bestseller Make Your Bed, which has sold over one million copies, Admiral William H. McRaven is back with amazing stories of bravery and heroism from his career as a Navy SEAL and commander of America’s Special Forces. Admiral William H. McRaven is a part of American military history, having orchestrated some of the most famous missions in recent memory, including the capture of Saddam Hussein, the rescue of Captain Richard Phillips, and the raid to kill Osama bin Laden. 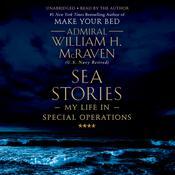 Sea Stories begins in 1963 at a French Officer’s Club in Paris, where Allied officers and their wives gathered to have drinks and tell stories about their adventures during World War II—the place where a young William McRaven learned the value of a good story. Sea Stories is an unforgettable look back on one man’s incredible life, from childhood days sneaking into high-security nuclear sites to a day job of hunting terrorists and rescuing hostages. Action-packed, humorous, and full of valuable life lessons, Sea Stories is a remarkable memoir from one of America’s most accomplished leaders. Admiral William H. McRaven is the most well-known and decorated admiral in recent American history. He served with great distinction in the US Navy, first as a SEAL and then later as the commander of the Joint Special Operations Command and as the head of the operation that took down Osama bin Laden. He is a public speaker in high demand in the business and education circuits.